What I Want You to Know is a series of reader submissions. It is an attempt to allow people to tell their personal stories, in the hopes of bringing greater compassion to the unique issues each of us face. If you would like to submit a story to this series, click here. Today’s guest post is Anonymous. Regardless of all the things you’ve read or been told, the worst problem with having a teen who turns against you is not that your life feels held at ransom to their whims. It isn’t the lack of control and feelings of helplessness that threaten to shred your hope. When your child turns against you or themselves and runs headlong into the fires of forces that can burn down their futures, it isn’t the constant state of fear you live in — for them, for your other children, for your own sanity — that’s the reason it’s hard to keep going. Self destructive behavior in them doesn’t threaten to break you because of the ways you have to overthink even the moments of happiness you have. A child turned against you and their own prosperity doesn’t cripple you with depression just because your body chemistry changes with all the classic signs of stress. You can address your hypertension, insomnia, over and under eating, heartburn, headaches and muscle spasms with everything from meditation to medication, so your body is not the enemy that will defeat you. How unfair it is to be blamed for the choices of another by the very person continuing the self destructive behavior that’s causing their pain, is a futile repetition you start to expect as the symptom of an unhealthiness in that child. 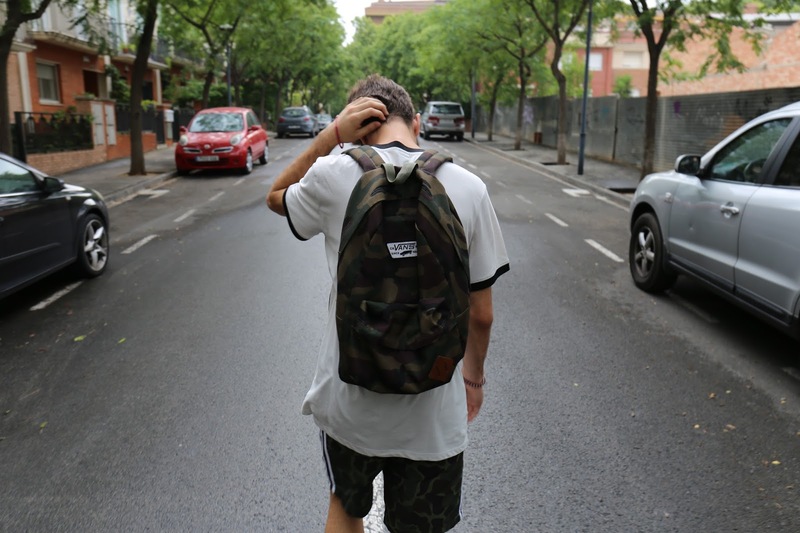 So, no matter how embarrassed you feel to be questioned by strangers– even professionals — about the choices you’ve pleaded with your teen not to make, your feelings of failure and humiliation are not the burden you won’t be able to bear. Even though the postcard perfect pictures of your friends’ families enjoying milestones together at graduations, dances, the dmv, the beach will make you ache for all the memories you hoped to make and won’t, it isn’t missing out that will keep you up at 2am crying over a lost future. The problem, dear ones, when your teenager turns their passion against you and holds you to blame for their pain and anger is that you remember what its like to be loved completely. You hold in your mortal skin the sense memory of being hugged by chubby arms and allowed to kiss a forehead warm with sweaty affection. You know what it’s like to be the warm center of someone’s universe and to give to that small wonder with all the abandon you never knew possible before them. When it is your child who is lashing out at you, you have lived –and recently– the exquisite perfection of your selfhood being good enough to warrant the affection of another’s entire heart. You have been allowed to open the gates of your protective, truest self and give of your true heart and found that love needed and given back in eyes that looked to you for strength. Those memories are the reason you will hide the Facebook profiles of your friends with small children who still love them. They are the reason you will keep your coworkers talking about their teens’ accomplishments and goals, so there’s no time for you to be asked about yours. They are the reason you will hide away the pictures of your own children with you when they were little, until late in the night when you will sneak to the box like a heartbroken cat burglar and sit up in the almost-dark studying the 2d images for hints of where your mistake turned the tide. The problem for the parent of a struggling teen is not the agony of each uncertain, hopeful, fearful day. The problem is the too recent memory of glory, and the emptiness that nothing else can ever replace when the love of your child for you is willfully removed. This just breaks my heart. I'm so sorry for your pain, I just can't imagine. We try to do everything right, but the bottom line is they make their own choices. I hope you know the peace of God, and that his love can help you through. I know for me, in tough times, that is the only thing I can hold onto. prayers for you friend, thank you for sharing your heart. I really needed to read this today. It's nice to know I'm not alone. I know this will pass and we will make it through but my child turning against me IS the hardest thing I've ever encountered. I really needed to see something like this today. It lets me know I'm not alone. This IS the hardest thing I've ever encountered.